aleo solar GmbH produces high-performance modules in Prenzlau (Brandenburg, Germany) and is a system provider for the international photovoltaic market. We import and supply Waste Compactors and Reverse Vending Machines for refillables bottles and one way recyclables containers, indoor and out­door cleaning equipment, as well as the necessary spare parts and con­sumables. Aris EnerJi is an equipment design & manufacturing company which serves for Biogas and LandFillGas Sectors. 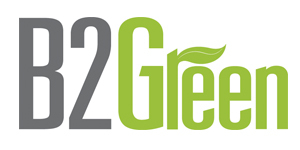 B2Green (B2Green.gr & RunMyProject.gr) is the most active integrated online platform in Greece, focused in the field of green technologies. CINK Hydro – Energy k.s. is a manufacturer of micro, mini and small hydro power plants up to a capacity of 7 MW per unit and it is one of the very few companies in the world having the know-how that is necessary for realization of technically perfect deliveries of all important types of turbines, i.e. Crossflow, Kaplan, Pelton and Francis. All the equipment is produced exclusively in Europe. CITIPOST delivers integrated solutions in solid waste management field, in recycling and citizen awareness through innovative and state-of-the-art technologies, applying international best practices. 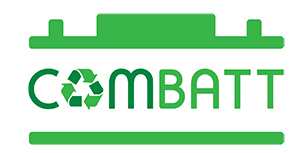 COMBATT SA is a collective waste management system for automotive and industrial batteries accredited by the Hellenic Recycling Agency (EOAN). CORE SOLUTIONS was founded in late 2004 by Greek experts in the field of consulting services and ICT with high experience and participation to a large number of projects in the Public and Private Sector in Greece, as well as participation in European Research and Development (R&D) Projects. DOTSOFT SA is a dynamic, Greek SME Information Technology and Communications services provider, offering IT services to the public and private sector, in Greece and Europe. 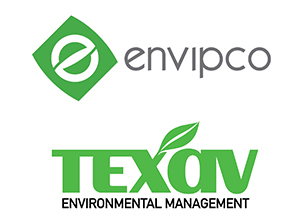 Since 2005, ECOVRS specializes in supplying solutions for the management of organic and recyclable waste both in municipalities and private firms. ENACT SA operates in the waste management sector. The company promoting fully sustainable development invests in new equipment and technologies, taking an active role in improving environmental performance. It also provides upgraded waste management services, to ensure a high level of environmental protection and public health. Energy4smart is a new found business venture, based on innovative technological constructions. It is the “baby” of a group of young people who live their lives and build their career success thinking out of the box. Since the 80’s, the Greek corporation TEXAN leads the recycling sector through the operation and management of the high-tech “Integrated Rewarding Recycling Centers”. EuroConnect is your link in the European Union. Our office, located in the capital of Europe provides an innovative representation service, fully aligned with your needs and your goals. EVOTROPIA operates in the Research & Development (R&D) of natural capital valuation methods as well as of finance, banking and insurance instruments, adapted to the needs of the circular economy. The central target of the company’s services is to contribute to the establishment of circular economy markets in local, national, regional as well as international level. Having invested in this identity, as of November 15, 2018, we possess an EUIPO trade mark in 28 countries of the European Union in three (3) classes of the Vienna Classification System (36: Economic Services, 41: Education and 42: Science and Technology). Fil-eco PC is a family business whose 30 years of experience in the field of Ecology and Environment is combined with scientific training. Responding to the demand of times, recycling, launched a new career path to provide its customers with comprehensive environmental management services. Its object is to study and supply equipment for the management of waste, mixed, organic and recyclable materials. Flow Control and Measurement has an active presence in the field of flow measurement and control for fluids since 2006. FREE - RECYCLE operates in the recycling sector since 2011. The company is licensed to collect and transport non-hazardous recyclable materials. The materials collection is free of charge and door-to-door. Gekas Metal Group (GMG) is the biggest manufacturer of Metal Waste Containers in Greece and one of the biggest in Balkans. 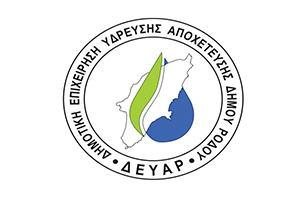 GEPA LIFT is based and operates in the Municipality of Almopia since 1981. In over 40 years of continuous business operation, it has shown a significant work in the field of development and innovation. GlobiLED’s key to success is the deep knowledge in LED lighting and the vast experience in achieving the desired lighting results according to each client’s requirements and specifications. GlobiLED is active with great success internationally, in markets such as Germany, Cyprus, United Kingdom, Balkans, Middle East. Creation of a private intermediary recycling network company by collecting novel materials and commercializing them by providing them with interested buyers of various origins in the field of activity and uses. Home focus on low-cost and high added value raw materials from the F&B sector, generating economies of scale for the collection, processing and re-allocation of specific recyclable materials. INDAQUA is the leading private player operating in the Portuguese water concessions sector, with approximately 30% of market share in terms of population served by private entities. Incorporated in 1994, INDAQUA is now fully owned by MIYA Group. ΙNTERMACHINERY founded in the early 2000s and specialized in the trading of recycling machines. 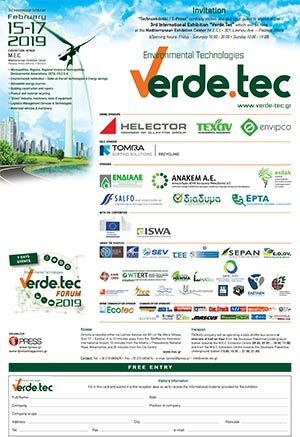 The rapid spread of the idea of recycling, market needs for reliable solutions and the accumulated expertise of its shareholders, led ΙNTERMACHINERY to collaborate with foreign firms enabling it to cover fully with the most advanced technology in small, medium or heavy type industrial machines. It has spent thousands human hours the study the new technology of recycling and machinery industry. ISWA – the International Solid Waste Association – is a global, independent and non-profit making association, working in the public interest and is the only worldwide association promoting sustainable, comprehensive and professional waste management. It was founded in 1970. 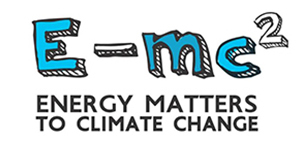 Kmetrics is a company engaged in the field of Renewable Energy Sources (RES), particularly in the design, optimisation and control of photovoltaic installations. It has a team of experienced engineers and a suitable infrastructure for the complete and thorough inspection of PV systems to maximise their performance. 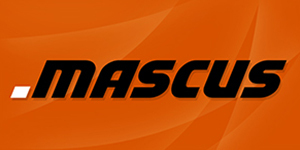 With over 3,350,000 visits of buyers every month, Mascusis the world’s fastest growing website for buying and selling heavy machinery and trucks. 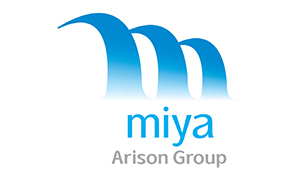 Miya is a global efficiency-oriented water operator with vast experience and a full range offering of solutions for water utility companies including water efficiency, commercial management and water treatment. 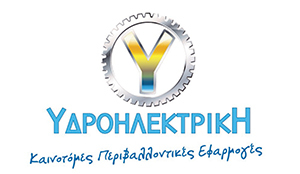 The company F. TSAKOUCO with the discreet title myronwind, founded in 2012 and located in the Industrial Area of Thermi, Thessaloniki. 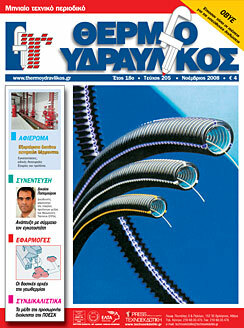 Olympic Enginee ring & Co nsulting was founded at 2008 by Zois A. Sidirokastritis, Electrical Engineer NTUA. ONFLOW, a member of the MULTIGAS group of companies, is headquartered in Thessaloniki, Greece, strategically positioned to serve the Greek, Balkan and Cypriot markets. It activates in the fields of specialized pipeline services, utilities and environmental projects. Parity is a fintech start-up that develops digital solutions to make Greentech investing accessible to everyone. Photovoltaic has more than 30 years of experience in the field of Renewable Energy Systems. Is certified according to ISO 9001:2008 and 1400:2004 and has installed more than 20 MW in off-grid systems and 250 MW in on-grid systems. Prosper Hellas SA provides specialized solutions for managing polluted water, harmful to the natural environment. PTA creates personalized orthopedic splints using the method of fast printing (3d printing) with raw material recycled materials (eg plastic bottles). RAM EUROPE SA has been present since 1951 in the field of special machinery manufacturing. In its long course, it has successfully executed many contracts and has many patents from its research activities. RECYCGLOBE is the first Greek company which supplies private or municipal companies activated in collecting and treating waste (liquids and solids) with innovative software and hardware waste management systems. RHINO WRAPPING HELLAS was founded as a direct partner and exclusive distributor of RHINO SHRINK WRAP (UK) aiming to provide wrapping services for scaffolding, space, equipment, constraining applications, environmental protection, weather protection etc. "Save your Planet" is a cross platform, entertaining, eco-educational project consisting of two 3D animation series, one for children and adults and one for pre-school children. 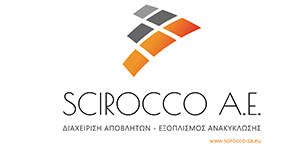 SCIROCCO SA provides waste management services and equipment, in public and private sector, such as management of landfills and recycling units, collection & transportation of waste. SPATHARAS GROUP SMPC has been established as one of the largest companies on import - export and trade in cranes and heavy equipment worldwide. Because of the wide recognition, major construction companies and equipment rental companies that operate internationally have assigned SPATHARAS GROUP SMPC to plan the modernization and procurement of their equipment. 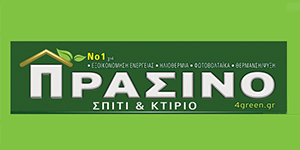 Our company is based in the Provincial Road of Giannitsa - Axos Prefecture of Pella and manufactures in its privately owned facilities plastic waste bins of all capacities and all types of recycling (paper, aluminum, glass), for domestically and hospital waste. It also produces plastic boxes for storage of batteries (car batteries, etc.) as well as storage of wastes from slaughterhouses, meat and sausage industries and also for the transport of skins. TOMRA Sorting Recycling is established in almost 80 global markets and offers a broad range of sorting applications to separate a large variety of valuable fractions including plastics, metals and paper from waste. 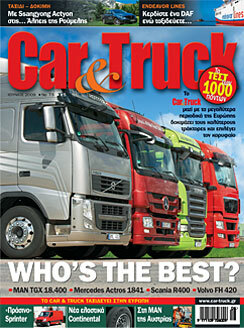 Unitrack SA is since 1999 the official dealer and distributor of JCB products for Greece and Albania. Unitrack SA supports more than 10,000 customers through premises in Athens, Thessaloniki and Tirana and a network of sub dealers in major areas. The biogas industry is evolving worldwide, but it requires policy implementation and financial support for it to thrive and mature. City, regional and national governments are establishing their climate change and sustainable development strategies. We therefore have reached a crucial moment to ensure biogas technologies get recognised as a major solution, and I’m calling on you to support our efforts in doing so. 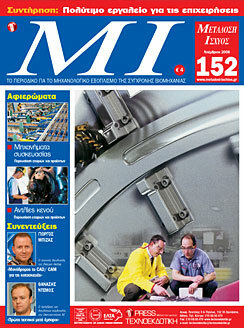 www.myota.gr is a portal - a digital tool regarding local government- designed to help, on a daily basis, all those, who are involved or working for the Local Government, stay informed on laws, Ministerial Decisions, circulars, financial programs, forums and discussions concerning the Local Government. N. Zimbas SA, with 45 years of activity in the automotive sector, has undertaken the exclusive distribution in Greece of an exclusively electric cars brand, Zhidou, which belongs to the international Geely Group (including Volvo, Lotus, London Taxi, Proton, etc.). Alfanet SA is the largest distributor of branded refurbished IT equipment. With 20-year presence in the IT field and a wide range of clientele, Alfanet covers both the private and the public sector, who benefit from our competitive solutions. 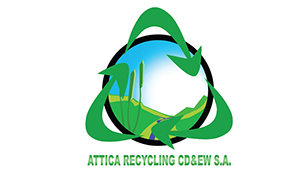 The Alternative Management System (EPR Scheme) Attica Recycling CD & EW SA, founded in 2014, operates in the waste management sector, specialized in the field of Construction, Demolition & Excavation Waste (CD&EW). ANAKEM is one of the first Collective Systems for the Alternative Management (CSAM) of Excavation, Construction and Demolition Wastes (ECDW), founded in November 2012. ANAMET RECYCLING INDUSTRY SA has been leading the metal recycling sector for more than 50 years. Today, ANAMET, together with six subsidiaries and one affiliated company, form the Recycling Segment of Viohalco, with production in four countries in Southeastern Europe. 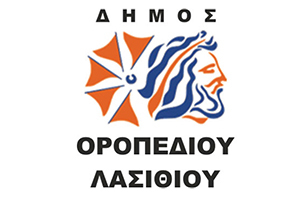 ANATOLIKISA – Development Agency of Eastern Thessaloniki’s Local Authorities was set up in 1995. The strategic priority of ANATOLIKISA, is to promote and support sustainable development, through interventions in all sectors of society including environment, energy, mobility, local and rural development as well as human resources. ARVIS ENVIRONMENTAL ENTERPRISES OF GREECE SA offers integrated solutions covering the area of recycling and waste management. Our company is a specialist for handling green waste biomass, we are the only ones that worked with tree branches for producing pellet or briquets for domestic or industrial use and producing energy for different projects around Greece. Wootis SA operates since 2014 as a service provider for the maintenance and operation of Renewable Energy Sources. 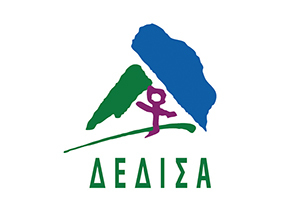 DEDISA (Trans-Municipal Enterprise of Solid Waste Management) is the Waste Management Authority in the Prefecture of Chania, in the Region of Crete. The Prefecture of Chania has a population of ~150.000 and covers an area of ~ 2.400 km2. PPC Testing, Researchand Standards Center (TRSC) provides services that include tests in its laboratories, accreditations, research, inspections in the areas of PPC Group, instrument calibration, specialized studies, applications and analyses, specialized consultation studies as well as materials and equipment inspections for quality control of existing and under purchasing materials and equipment of all installations. The distance of 1,300 metres separating Europe from Asia has been known since ancient times as “Eptastadios Porthmos” or “Mycale Strait”. 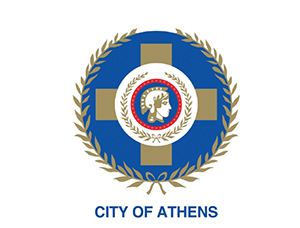 The Municipal Authority has set as a key priority reducing mixed waste by 2020 and achieving a zero waste Athens by 2030. In this context, the Waste Management department promotes the recycling of packaging through a network of blue bins and actions supporting the segregation at source, such as a pilot scheme for the separate collection of biowaste from public markets. Aspropyrgos is a Municipality which is located in the western part of the Attica region, about 20 km northwest of Athens and 3 km east of Eleusis. The municipality of Galatsi is located at the foot of Tourkovounia hill, which is the highest in Athens and is one of the areas of the capital with the highest percentage of green. It occupies an area of 4 sq. located about 4 km. north of the center of Athens. Bordered to the north with New Ionia, the east with Filothei - Psychiko, while to the south and west by the municipality of Athens. It has an average altitude of 200 m. and a population of 59.345 inhabitants. Mayor of Galatsi since 2014 is George Markopoulos. 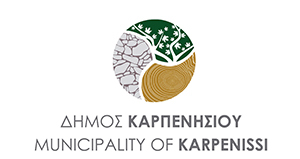 The Municipality of Karpenissi is a place of the Region of Sterea Hellas and it is located in Karpenissi town. It is a mountainous municipality and its area is 950 km2 and the permanent population is 13,105 inhabitants. The Municipality of Katerini lies on the Pierian plain, between Mt. Olympus and the Thermaikos Gulf, at an altitude of 14 m. The Municipality has a population of about 100,000. It is near the city of Thessaloniki, Greeceʼs second largest city, which has been beneficial for Kateriniʼs development over recent years. Katerini is accessible from the main Thessaloniki–Athens highway GR-1/E75 (with two interchanges near the city) and the Egnatia Odos to the north. The place, the history, the tradition, the nature, the people welcome you to the Municipality of Monemvasia. The Municipality of Nea Smyrni is an urban municipality with a population of 120,000 inhabitants. It is administratively located in the Southern District of Attica. The Municipality of Oropedio Lassithiou is the most mountainous municipality of Crete with an altitude ranging from 800 m to 2,148 m and consists of 11 local communities with 16 villages located perimetrically of the plateau in a radious of 24 km. The administrative capital of the Municipality is Tzermiadon, which is 25 km far from Malia, 50 km from the city of Heraklion and 40 km from Agios Nikolaos. The Municipality of Peristeri is located on the west side of the Attica’s Basin. It occupies an area of 10.05 km2 and its total population is amounting to 139,981 permanent residents. The population that lives permanently in the city is much more (about 400,000 inhabitants). 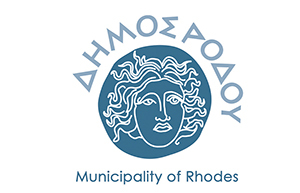 The Municipality of Rhodes emerged in 2011 under the "Kallikratis" program by the merger of the 10 former cities of the island. It has an area of 1,407.94 square kilometers, a permanent population of 115,490 and a de facto population of 150,000. The Municipality of Fyli is located in the region of Attica and consists of the Municipal Units of Liosia, Zefyri and Fyli. The Municipality of Chalandri is one of the most beautiful and large municipalities of Attica with a population of more than 100,000 inhabitants and an area of approximately 11,000 sq.m. It belongs to the peripheral unit of the northern sector of Attica. Chalandri is an important suburb of Athens and it is distinguished for its outstanding urban design the extensive pedestrian network and cycle paths and for the long tradition of its inhabitants in commerce. The Municipal Enterprise for Water Supplyand Sewerage Rhodes (DEYAR) is a private entity with charitable status and is governed as to the administration, organization, execution, operation and maintenance of projects powers and funding sources of the provisions of the Law "On incentives for the business supply water and sewage". In 2003, the "Waste Management of Eastern Macedonia Thrace SA" was established with the distinctive title "DIAMATH SA". The purpose of the company is the consistent and according to the law management of the waste of all the municipalities of the whole Region of Eastern Macedonia and Thrace (REMTH). Today, the company operates as the Waste Management Authority (Fo.D.S.A.) of the municipalities of REMTH. DIADYMA SA and the Integrated Waste Management System (WSSD) of the Region of Western Macedonia. The Network of Cities with Lakes is a non-profit organization, based in the Municipality of Dorida. It was founded in 2012 and encounters to date 45 members municipalities from Greece, Cyprus, Albania, Ukraine and Bulgaria, with natural and artificial lakes. The Network of Solid Waste Management Associations– Fo.Di.S.A. 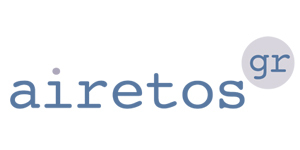 Network (Diktio Foreon Diaxirisis Stereon Apobliton – Di.Fo.Di.S.A.) was established in 2007, in the town of Thebes and takes action in whole geographical region of Greece. Its members are national public waste associations that run waste management establishments. Di.Fo.Di.S.A. promotes the interests of its members at government level, through common positions on waste management issues and legislation. The Waste to Energy Research Council (“SYNERGIA”) is the Greek branch of the Global Waste to Energy Research and Technology Council of Earth Engineering Center- Columbia University. 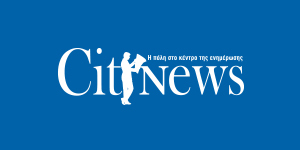 It was founded in 2008 by Columbia University and Professor Nick Themelis, in collaboration with the National Technical University of Athens and other universities, professors and organizations like CEWE. HERRCO, as Greek law foresees, has a not for profit operation and serves the public’s interests. 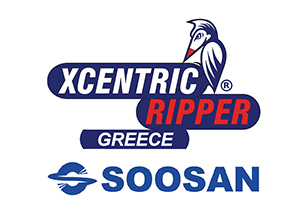 It was founded by industrial and commercial enterprises in the Greek market, which either place packaged products in the Greek market, or manufacture packaging and up to date number more than 2.100 contracted companies. The Central Union of Municipalities and Communities (KEDE) also takes part in HERRCO’s share capital. 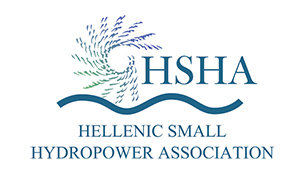 Hellenic Small Hydro Association (HSHA) established in 2010 and is the only national association representing the sector of Small Hydro Plants (SHP) in Greece (<15 MW). 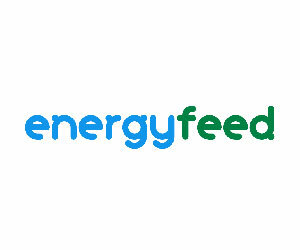 It is a member of the European Renewable Energies Federation (EREF). 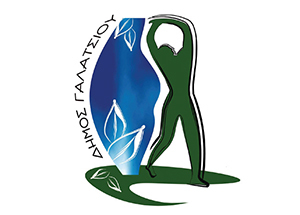 The Hellenic Association of Biogas Producers (HABio) is a non-profit organization set up exclusively by Biogas producers. Among its 25 members are 21 of the totally 26 units producing electricity from agricultural sources, with total installed production capacity of 20 MW. 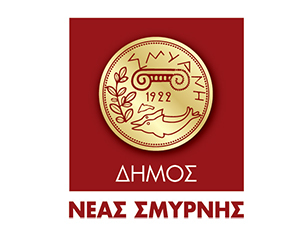 The German – Hellenic Chamber of Industry and Commerce is the gateway to the Greek, German and international markets and its objective is the tightening and growth of the enterprising and commercial relations between Greece and Germany over 90 years. ENDIALE SA was founded in 1998. Is a non-profit organization authorized since July 2004 by the Hellenic Ministry of Environment as National Collective System of Waste Lube Oils (W.L.O) Management in Greece. 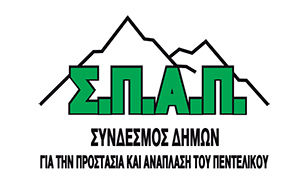 ASSOCIATION OF SOLID WASTE MANAGEMENT OF CRETE E.S.D.A.K. 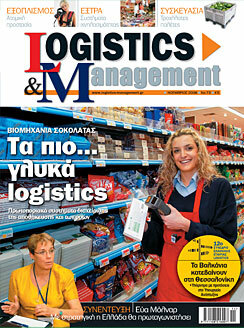 At Association of Solid Waste Management in Crete (E.S.D.A.K.) we work with vision, plan and meticulousness, with scientific adequacy and technocratic knowledge in order to place our island in the constellation of circular economy. We plan the management of waste in accordance with European directives, national legislation and regional planning, aiming to diminish our environmental footprint in Crete. The protection of the environment, the improvement of the quality of life, the waste exploitation and the promoting of the Circular Economy are vital goals to our very existence. 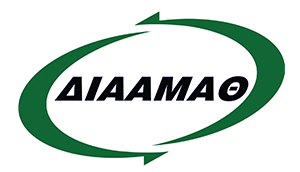 Τhe Solid Waste Management Association of the Prefecture of Larissa is the institutionalized by the Hellenic State A/Graduate Institution of the Local Government, which has as members the 7 Municipalities of Kallikratis of Larissa Regional District of Thessaly and is managed by the Chairman, the Board of Directors and the Executive Committee. The Heraklion Chamber of Commerce & Industry (CCI) is housed in a historical building on 9, Koroneou street, and it was established back in 1918. Having registered 24,000 active member-enterprises, the Heraklion CCI constitutes the unique institutional representative of the local business community. 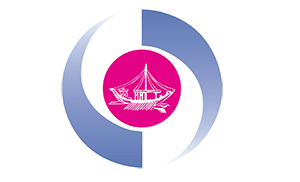 Its member-enterprises deal in trade, services, manufacture, exports and tourism. EPTA Environmental Consultants - Engineers is an innovative consulting company composed of high quality engineers and scientists, who use regulatory, scientific and management expertise in private and public sector. ELECTRA Energy is a social cooperative enterprise that works for a sustainable and participatory energy system in Greece and southern Europe. An energy system where citizens have the main role! Citizens are gradually transforming from passive consumers to active members in local energy projects. The new legislation allows citizens, businesses and municipalities to work together to produce and save energy locally. They can also develop other related services and products. Local accessibility, clean and cheap energy is now possible. HELECTOR is one of the largest companies with expertise in the field of waste management in South East Europe and a member of the ELLAKTOR Group, the leading infrastructure group in Greece with operations in more than 25 countries. 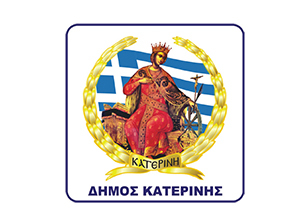 The «Hellenic Research and Educational Institute “Panos Mylonas” for the Road Safety, Prevention and Reduction of Traffic Accidents» - (RSI“PanosMylonas”) - was established on May 12, 2005. Municipalities Central Union of Greece established by the Resolution of November 3rd, 1927 by the 1st Mayors’ Conference. Articles of this Resolution regulate the Union’s view, management and organization and laid the ground rules for their resources and management. CENTRE FOR RENEWABLE ENERGY SOURCES & SAVING C.R.E.S. 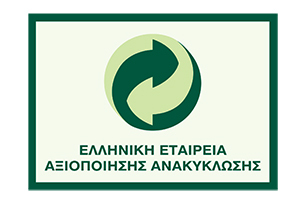 The Centre for Renewable Energy Sources and Saving (CRES) is the Greek national centre for Renewable Energy Sources (RES), Rational Use of Energy (RUE) and Energy Saving (ES). In a rapidly-evolving world, our societies demand new solutions to overcome climate change and the lack of natural resources. Our islands struggle with water shortage, our cities are being tested by piles of waste, our seas are endangered by untreated sewage and the extreme natural phenomena emphasize the inadequacy of our infrastructure. 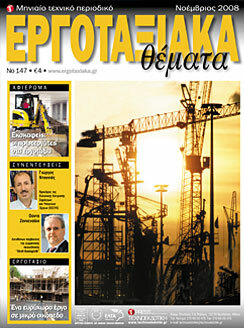 The company PAGIDAS ANTONY is in the Greek market more than 50 years, on the Construction Machinery - Demolition. We are Experts on the Hydraulic Attachments for all the Excavators Machinery. 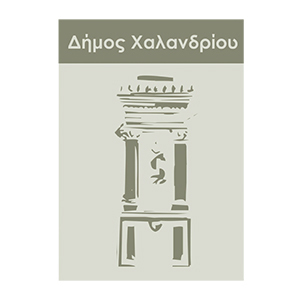 The Panhellenic Association of Landscape Architects (PHALA) represents the profession and the science of Landscape Architecture in Greece. PHALA is the οfficial representative of Greece in the International Federation of Landscape Architects (IFLA) and European Federation of Landscape Architects (EFLA). 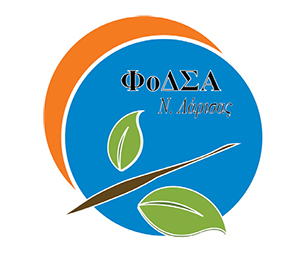 The Regional Institution of Solid Waste Management in Region of Sterea (Greece) “Fo.D.S.A. of Sterea Hellas” established under Law 4071/2012. Fo.D.S.A. 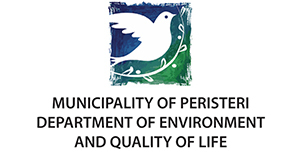 of Sterea Hellas, in which participate 23 Municipalities of Sterea Region, has the competence of design and facilities of solid waste management in Sterea’s Region and the competence of 4 landfill sites operation (at Istiaia, Chalkida, Thebes and Lamia). At the same time it manufactures 2 big projects, the sanitary landfill site and the Unit for solid waste composting in area of Fokida as well as the Waste Treatment Plant (WTP) in Thebes. The Green House & Buildingmagazine from 2011 and every month covers the entire energy and savings market. Save Money, Smart Building, Renewable Sources, Net Metering, Heating-Cooling Systems & Building Upgrade are its main columns. SALFO & Associates SA was established in 1994 in Athens and is an international engineering consultancy company, providing design, supervision and management services, covering all types of development, infrastructure and large-scale buildings. 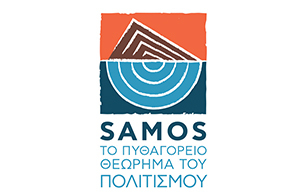 SANKE is a non profit company responsible for the recycling of demolition, construction and excavation waste (AEKK) in Attika region and Boiotia Euboia and Magnisia areas. The Collective system of Alternative management Excavation, Construction and Demolition Waste SEDPEKAT SA is a non-profit company owned by 93 shareholders acting in earthworks, established in Athens and covers the entire Attica region. 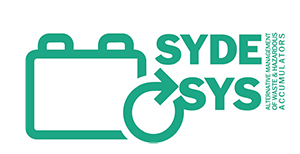 The Company Alternative Management System for Batteries, under the name SYDESYS SA was established In 2004, aiming to organize the alternate management of used Pb – acid and Ni – Cd accumulators becoming waste out of vehicles and industry. The Association of Municipalities for the Protection and Restoration of Penteliko Mountain (SPAP) was founded on February 5, 1992 and today consists of the following 12 Municipalities: Amaroussion, Vrilissia, Galatsi, Dionysos, Kifissia, Lykovrisi-Pefki, Marathon, Pallini, Penteli, Rafina-Pikermi, Spata-Artemis, Halandri. 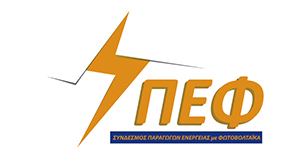 SPEF (Hellenic Association of Photovoltaic Energy Producers) was founded in March 2009 in order to promote, support and protect the interests of photovoltaic electricity producers in Greece. It is both a scientific and business association, since all members have implemented and grid connected solar parks along the Country. 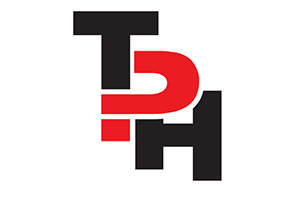 TECHNOEKDOTIKI T-Press publishes seven monthly magazines, with equal informational sites on the web and other special publications. It has its own atelier which apart from the issue of periodic and creating advertisements undertakes to cover all types of printed or digital advertising needs of its customers and creating business profiles. TSAMPAS BROS SA (ATC) company has been active in the field of metal and steel construction and parts manufacturing since 1980. 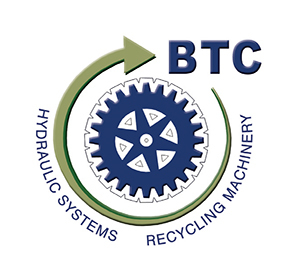 BTC TSANAKTSIDIS Bros, is placed among the top Greek companies specialized in recycling machinery trade. Since 1969, we supply water-related products and services. We cooperate with manufacturers which produce on high quality standards and environmentally friendly procedures. We manufacture fire and booster sets according to the latest regulations. We select and offer products and solutions that are energy efficient and have the minimum environmental footprint. We offer maintenance and service for all the products we sell, with specialized and trained engineers and technicians, based on the manufacturers’ service specifications, in-house or on the field. 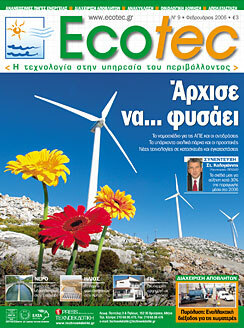 Hydroelecrtica Co is a manufacturing company, established in 1968 and situated in Sofades, a town in central Greece. I. FRANTZIS & ASSOCIATES Ltd is an Environmental Consulting Company, based in Athens Greece. The firm provides Technical Consulting, Engineering & Project Management Services and is specialized in Environmental protection & Engineering Projects, with emphasis in Waste Management. FOTOKIKLOSI SA is a National compliance scheme for Waste of Electric and Electronic Equipment (WEEE), specializing in Lamps - Luminaires and Small Household Appliances, approved by the Greek Ministry of the Environment, to coordinate all the stages of WEEE Management, which include collection, transport and treatment to protect the environment under the European WEEE Directive.